Sunday, October 7th at 6PM our History Of Mystery class continues to look at the authors who made a mark on American crime fiction. This month, we discuss an author who helped level the playing field for women in detective fiction, Sara Paretsky. Before Paretsky, the private eye scene was a boy’s club. Most of the writers were men and so were their characters. With her tough Chicago detectiv, VI Warshawski, Paretsky changed that forever. 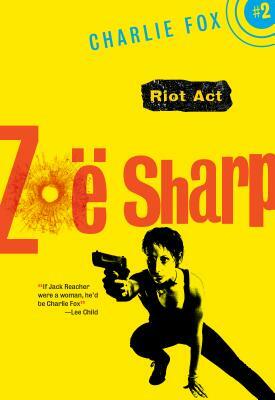 She proved you could interest women readers in the genre without alienating male fans. It’s been over thirty years since her debut, Indemnity Only, and both writer and character are still going strong. We will be meeting at 6PM on the third floor. Copies of Indemnity Only are 10% off for those who attend the discussion. On November 3rd, we’ll be discussing Thomas Harris and Red Dragon. Caryl Ferey’s Zulu has been a favorite of both the customers and booksellers at MysteryPeople since it arrived on our shelves in 2010. The dark police and political thriller will be on screens in France in December. Forrest Whitaker plays Ali Neuman, the captain of a mostly white police squad in Capetown South Africa, who is of Zulu descent. Orlando Bloom plays a homicide detective alongside him. 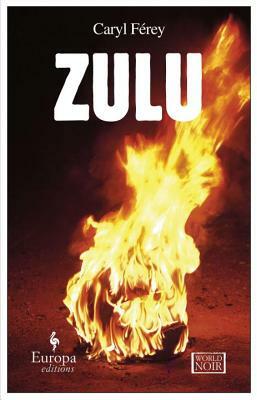 When the bodies of two white women show up with Zulu markings, he and his team are plunged into a violent nightmare involving different Western interests that exploit his country. For those who wondered if the book would capture the book’s brutality, this Red Ban trailer leaves little doubt. Be warned, this is not for the faint of heart. Seriously, don’t watch this around kids. J.I. Baker’s The Empty Glass has become a favorite of mine since I read the paperback version this year. Dealing with a deputy coroner, Ben Fitzgerald, and his involvement in the Marylin Monroe death, the novel is a nightmare of conspiracy, reckless ambitions, and a decaying old Hollywood. Baker was kind enough to take some questions from us about character voice, setting, and the dream world he created. MYSTERYPEOPLE: The Empty Glass is carried by a strong point of view. How did you build that voice of Ben Fitzgerald? J. I . BAKER: That voice comes from my very pervasive fears of losing everything, of being totally lost. I’ve been relatively successful, but I always feel that I’m one tiny misstep away from being some crazy alcoholic in a skid-row hotel. Well, that’s a noir trope, isn’t it? Which may be why I’m so attracted to the genre. But I feel it pretty deeply, so it doesn’t take much for me to write from the perspective of some lost soul sitting on a bald mattress in a bad hotel and wondering what the hell happened to his life. MP: Part of the story deals with parts of Marylin Monroe’s journal. How did you capture a voice that the reader may think he or she knows? JIB: Well, it’s a risk, for sure, but again, that voice is mine, on some level—the irrational, obsessive, addictive side of my personality. That said, the events in the diary in the novel are based on a lot of research. We know very little for sure about what happened to Marilyn at the end, but I based what I wrote on reliable reports. MP: You have quite a bombshell reveal at the end. Did you have it in mind before you started writing or did the story lead you into it? JIB: Actually, the editing led me to it. My initial version was completely different—and, without giving too much away, much more optimistic. And the ending of the screenplay version I just wrote for David Winkler at Winkler Films is a big change from the book. So I guess you could say I had three different endings. MP: When we talked before, you mentioned that you had an affection for LA crime fiction. What draws you to that city for a backdrop? JIB: Where do I begin? For as long as I can remember, I’ve been obsessed with Los Angeles. I had a map of the city on my bedroom wall when I was a kid and used to recite its street names to get to sleep—maybe because I didn’t like where, or who, I was. Like New York, L.A. is a place where you can reinvent yourself and create a whole new life. That’s an optimistic, very American idea, but in so much L.A. fiction (and fact) you see what happens when the hopes are dashed or—sometimes worse—fulfilled. 5. What is the biggest thing to keep in mind when writing in a particular period? JIB: Research! But never forget that if you’re constantly showing off the work you’ve done, it will take readers out of the story. Your fictional world is revealed through your characters, and your characters aren’t going to be hyper-aware of the cool period details you’ve dug up. They don’t think about the fact that they’re driving a 1963 Imperial LeBaron that’s cheaper than the pre-1960 Crowns but really prone to rust. They just need to get somewhere. So you have to find a way to introduce period detail and authenticity unobtrusively, as your characters—not you or I—would see it. MP: What do you want the reader to take away about Marylin Monroe’s death? JIB: All I want to do is to tell a good story, but it seems pretty clear to me that—however Marilyn died—funny business was involved. I’m not saying she was definitely murdered, but it seems undeniable that, at minimum, powerful people helped suppress information about her relationships. Many readers think that I made up a lot of stuff about her death, but all of it (the time changes, the water glass, the missing tissue samples) is based on fact. Copies of The Empty Glass are available on the shelves at BookPeople and via bookpeople.com. 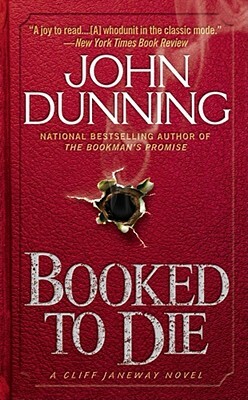 If you like legal thrillers, then this is the month for you. Practicing attorney and author Carlos Cisneros presents his third novel, The Land Grant, the follow up to his debut novel The Case Runner. 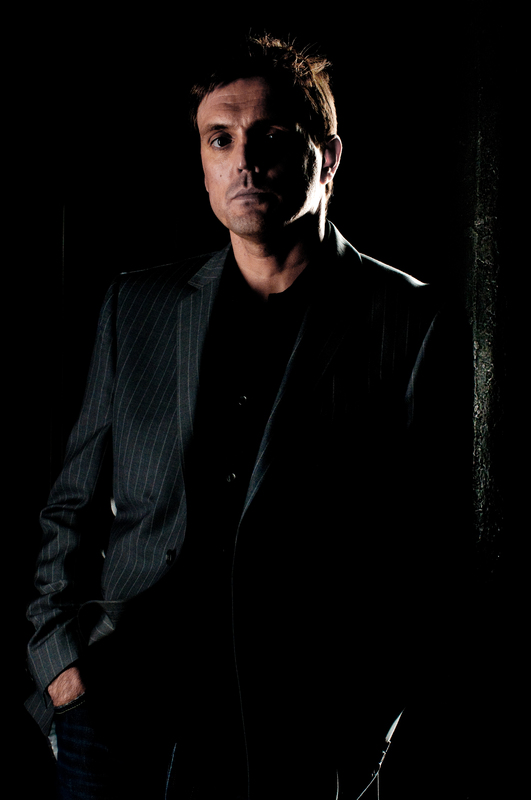 He’s been called the Latino Grisham, an honor and comparison that Cisneros doesn’t take lightly. 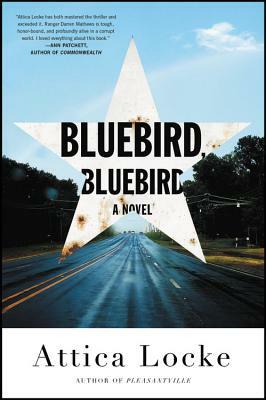 Cisneros will appear here at Book People in conversation with Mark Pryor this Friday, September 27th at 7:00 p.m. to discuss their latest novels. We caught up with Carlos and asked him a few questions. MYSTERYPEOPLE: The Land Grant is your third legal thriller, and it also takes place along the Texas-Mexico border. Why are you so interested in the border area? CARLOS CISNEROS: Shows like Breaking Bad and The Bridge have brought to the forefront what folks like me – folks that grew up on both sides of the US-Mexico border – already know. The border is a unique place, with its unique set of problems and its fair share of interesting characters and stories. And there also happens to be two thousand miles of it! There’s a little bit of everything: corruption, drug and alien trafficking, money laundering, narco violence, the clash of cultures, the language, music, the food and everything in between. It’s really magical and scary, all at once. CC: I love the thriller genre. Guys like Patterson, Baldacci, Gimenez and Grisham are some of my favorite authors. And you have to write about what you know. So, I like to write about the things I’ve witnessed down at the courthouse and in legal circles. If the public only knew! MP: It looks like Alex del Fuerte, the main character in The Case Runner and The Land Grant, might end up having his own series. Is that something you did on purpose? CC: Even though Alex is a baby lawyer that has much to learn, I felt he could have his own series because the readership really liked him and wanted to learn more about him, plus he’s got room to grow. So, the idea was to write different thrillers with different characters and story lines, but also continue the Alejandro “Alex” del Fuerte series. The departure novels have been The Name Partner and The C.I., which should come out next Spring. MP: Is the legal thriller genre something you plan to stick with? CC: Yes, for the most part, but I’ve also started work on a fusion novel. It blends romance, suspense and elements of the legal thriller. MP: Your novels have won 1st place at the International Latino Book Awards in New York and 1st place at the Books into Movies Awards, a competition sponsored by Hollywood Actor Edwards James Olmos. What is the significance of the Books into Movies Awards? CC: Mr. Olmos, and others in the movie business, feel that Latinos are not being fairly represented in Hollywood and on TV. The idea is to promote the winning novels and showcase them to the decision makers in Hollywood in order to get them to the big screen. MP: What is The C.I. about? CC: The Confidential Informant is about a female attorney that gets appointed in federal court to defend a member of a drug cartel and learns of a plot to assassinate the chief justice of the US Supreme Court. 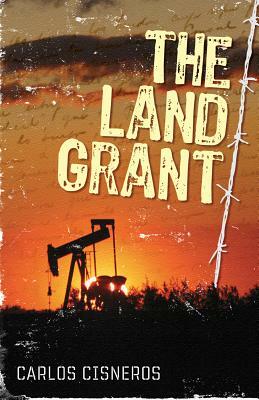 Copies of The Land Grant are available in-store and via bookpeople.com. Come down to BookPeople to meet Carlos Cisneros and hear him talk about his book on Friday, September 27 at 7pm. We Have No Idea Where Scott Is…. 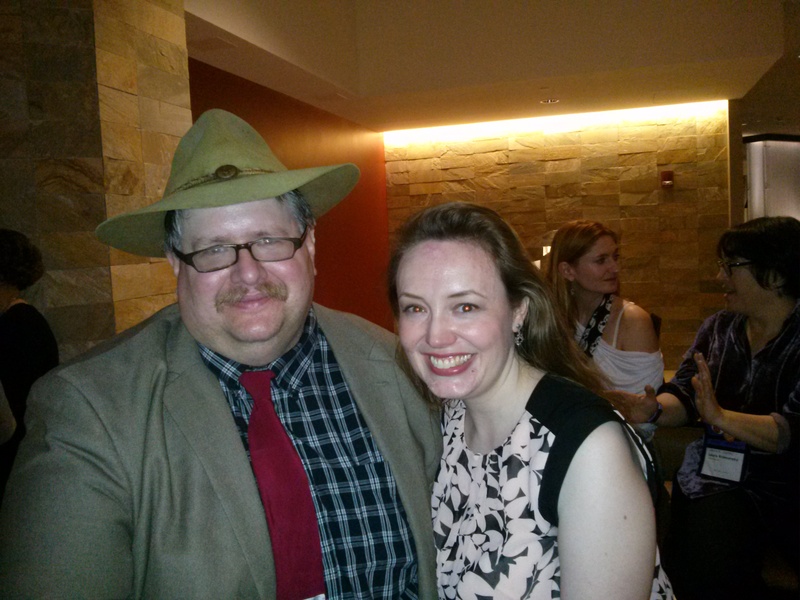 But over the weekend he sent us these photos from Bouchercon 2013. If anyone sees him, please let him know we’re looking for him. We saw some photos on facebook and are concerned he might have had way too good a time and is never coming back. There are books to sell here, Scott. Let’s go. Martin Limon signed my book! Most crime fiction connoisseurs who prowl for new authors like a junkie for a good fix have a foreign author we hear about, wishing they would get reprinted here for easier access and for a cheaper price than an imported book. 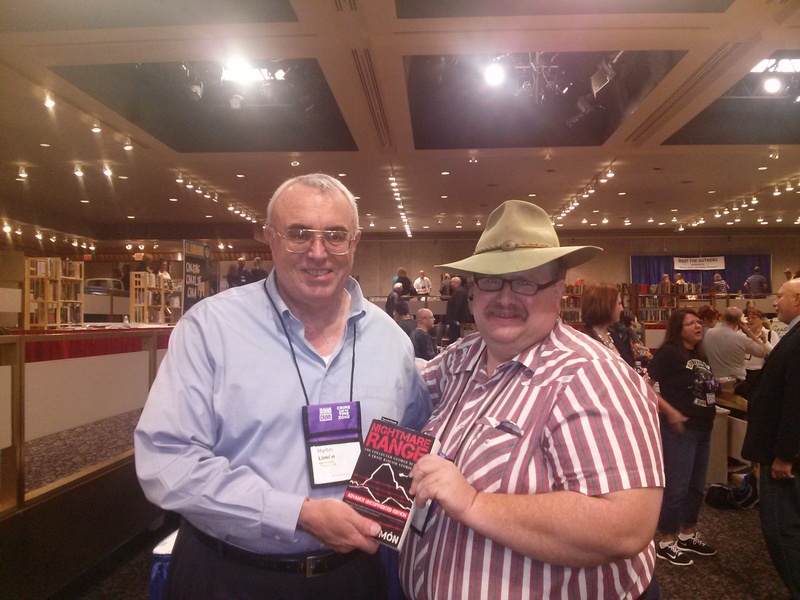 For many of us, that author has been Scottsman Tony Black. 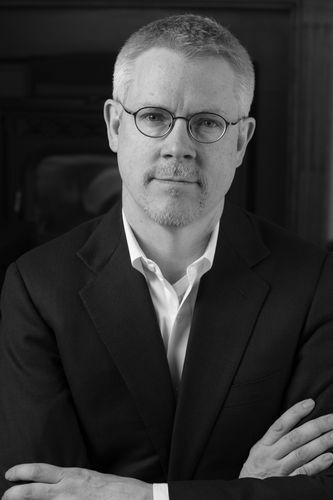 Just look at the guy – doesn’t he look like he can write hard boiled crime fiction? We’ve heard many of the greats like Ken Bruen and Irvine Welsh rave about him. We’ve been able to get small a taste of his talent through short work that has appeared online. Finally, our good friends at NewPulp Press are serving up a couple of full meals with Black’s first two Gus Dury books, Paying For It and Gutted. The match between publisher and author is perfect. Black’s Gus Dury could be considered a Scottish cousin to Bruen’s Jack Taylor. An alcholic, down and out, former journalist hack, raised by an abusive father who was also a professional footballer, he uses his old skills as a half-assed private eye. The character carries a lot of rage at the world and love and loyalty for his friends. 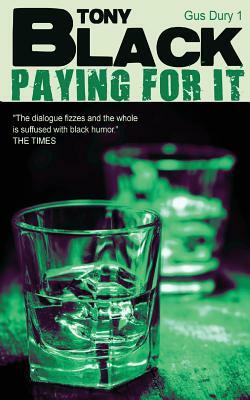 In Paying For It, Gus looks into the murder of and old freind and favorite pub owner’s son, getting involved in human trafficking, an opportunity to settle old scores, and a heart breaking resolution. If for some reason you don’t think it is hard boiled and harrowing enough, Black gives us Gutted where Gus goes up against those in the dog fight game. Both books are an entertaining meeting of character and tone with a great cast of supporting characters, particularly Gus’s psychotic comrade, Mack. Like Lawerence Block’s Matt Scudder, Dury is a flawed hero whose redemption we root for as he guides you through a dark place we find fascinating, but dare not go by ourselves. If you like hard boiled fiction and a good anti-hero, Tony Black is for you. The books are tight, yet breath with character and place. He incorporates the dialect of working class Edinburgh into his own voice as a writer, creating a unique style of bleak toughness and hard won heart. His new publisher says it best: “Tony’s writing will drive you to grab a bottle of booze, and I mean that in the best possible way”. Right on the money Jon. Thanks for bringing him over. 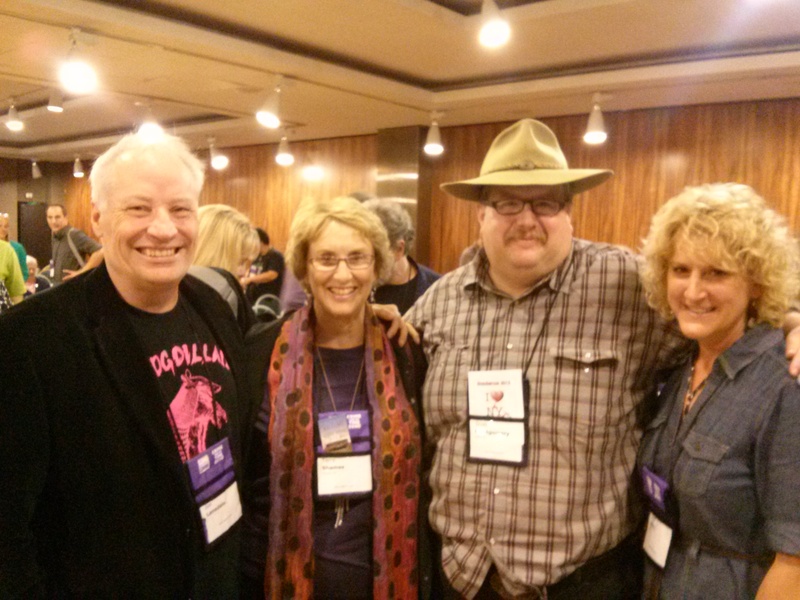 East, central, and west Texas: Joe Lansdale, Terry shames, Tricia fielding.